As recent fighting threatens US, Israeli, Iraqi and Palestinian civilians and military personnel, among other political and ethnic interests in the Middle East, I'm reminded of a special 2010 volume in the Wildlife Conservation Society's series State of the Wild. The 2010-2011 volume entitled "Wildlife Conservation in a Time of War" addresses the impact of civil conflict and warfare on wildlife management and conservation practices in hostile regions of the world. The publication was edited by Dr. Kent Redford who served as Director of the WCS Institute and Vice President, Conservation Strategies at the Wildlife Conservation Society in New York, before founding Archipelago Consulting in Maine. As we worry about the safety of soldiers, civilians, pets, and livestock, in the Middle East and in other politically unstable regions of the world where combat ensues, I also contemplate the impact of warfare on wildlife and wild lands. Some of the larger and more charismatic wildlife species that may very well be threatened by conflict in the Arabian Peninsula include mountain gazelles, wild boar, foxes, jungle cats, Nubian ibex, hyenas, jackals, wolves, and the Critically Endangered Arabian leopard (Panthera pardus nimr). 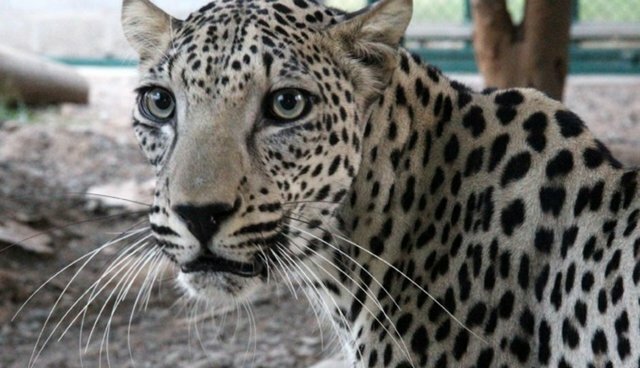 Thought to be in continuous decline, the fragmented population of Arabian leopards was estimated to be as few as 200 animals divided among three separate subpopulations according to the IUCN Red List, which references a 2006 census. The Arabian leopard is the smallest of the leopard subspecies and was once a wide ranging carnivore species across the Arabian Peninsula. Although, the current range for the leopard subspecies is uncertain it is presumed to be significantly smaller than the historic range for the cat. There may not be a single leopard in or near regions of intense conflict, but let's not forget about the natural heritage of these regions and the welfare of wild animals in addition to people and pets that may be in harms way.